Learn more about theAudiofly AF120. Hybrid Dual Drivers. 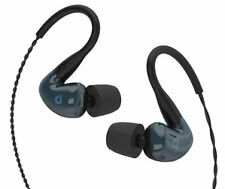 Each side features a balanced armature driver and a 9mm dynamic driver. They are built with an internal crossover to provide a flat frequency response and warm tone. Audiofly model AF45 are hifi corded headphones for the audio file fanatic. Magnet type: Neodymium. Cable length: 1.2m Plug type: 3.5mm gold platedu. Impedance: 16 Ohms Sensitivity: 116dB at 1kHz. Constructed with a polycarbonate body and alloy arms, the AF240 is for the passionate listener who craves rich, detailed sound from a comfortable and lightweight headphone. Cable Type:Standard Audio Cable. Onstructed with a polycarbonate body and alloy arms, the AF240 is for the passionate listener who craves rich, detailed sound from a comfortable and lightweight headphone. Due to the high amount of international fraud. TOUGH AUDIOFLEX CABLE™Our high spec Audioflex™ braided cable is made with a CORDURA fabric outer sheath for outstanding durability. SELF-ADJUSTINGSelf-adjusting in three directions, these headphones do all the work for you and seamlessly adapts to your ideal fit. They also include a storage pouch, a 1/4 in. Audiofly AF180 Box Set in Stone Blue. Barely used, only really tried on, and then placed back in box. 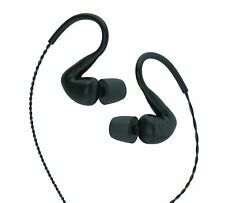 Entry model of the wireless series where you can enjoy "good sound" easily ◆ The natural sound AF33W that does not have an oddity The 9mm dynamic driver adopted in Audiofly AF33 is installed in the wireless earphone. Audiofly af160, Serial number We are located in Japan. Audiofly af140 earphones, Serial number We are located in Japan. Audiofly af120 earphone, Serial number We are located in Japan. Cable length: 1.2m and Plug type: 3.5mm gold plated. Frequency range: 18-20KHz. Magnet type: Neodymium. Product Features. UPC:Does Not Apply. Item Weight:0.02. Fees may apply . so# 1038244. 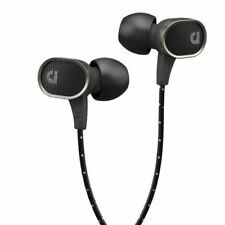 Each side features a balanced armature driver and a 9mm dynamic driver. They are built with an internal crossover to provide a flat frequency response and warm tone. Designed for professional and personal hi-fi listening Hybrid Dual Drivers. Model:'AF180. 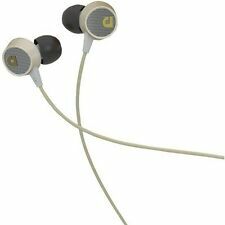 Since launching their first headphones in late 2011, Audiofly have been pursuing ultimate clarity in music.Features. They also include a storage pouch, a 1/4 in. headphone jack adaptor, an airline adaptor, a shirt clip, and a cleaning tool. Product CodeAF-33 Kingswood Blue w/mic.